Education is the key to fight illiteracy. Our goal is that each and every child in northern Ghana has access to primary and secondary education. Not only access to school but as well success in school with meaningful learning outcomes. In rural northern Ghana, teenage pregnancy and child marriage are some of the factors with negative impact on the school cycle of the young woman: Girls who fail in their school exams risk a future without further options than to marry at a very young age. To fight this problem, YHFG is active in various campaigns and programmes against child marriage and runs its own remedial school. Girls who failed the final exams in the first place can visit the YHFG remedial school classes for free, to get properly prepared for their second second attempt to pass the final exams. 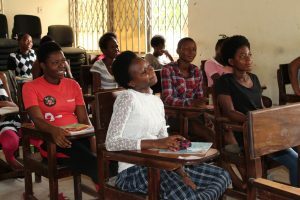 After passing the final exams, the girls can continue their secondary school education (read more).